Libby Slater is in mourning. Her lover of 12 years has died but she can't really openly mourn because she was the other woman, his mistress. Realising that she needed to make some changes to her life, she decides to return to the small town that she grew up in. Her lover, Mark Winterbourne, had bought a home in the town years before but Libby had always been reluctant to visit, mainly due to her fractured family relationships. Now there is just her sister left but after Libby left the small town 20 years before to live in France following a terrible tragedy and only minimal contact during that time, the two women barely have a relationship to speak of. On returning to the small coastal town, Libby needs to establish a new life but she is also initially keen to hold onto her links with Mark, even if that means working closely with his widow on the new season's catalogue for Mark's family jewellery company. The company has been around for generations, and there is a mystery in the family's past. Back in the early 1900's Arthur Winterbourne travelled to Australia along with his wife Isabel. In his possession was a jewel encrusted mace which had been commissioned by Queen Victoria in honour of the federation of Australia as an independent country. Isabel, like Libby, is in deep mourning, but in her case she is mourning the death of her baby after just a few days. In her very tight laced Victorian family she has not been allowed the respect of being able to openly mourn her little boy and she is now a very unhappily married woman. When the ship that Isabel and her domineering husband are travelling on sinks, it is believe that all on board are lost but after many searches over the years, there has never been any sign of the mace. 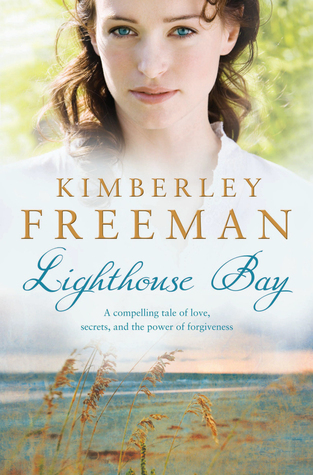 When Libby is given access to the diaries of the lighthouse keeper at the time, she begins to read them and starts to find references to a mysterious woman. Could it be that someone did survive the shipwreck? And if so, was the mace saved and what could have happened to it? Some stories suggest that it is buried near the lighthouse and there is more than one party that is looking forward to it. The story follows Libby as she tries to navigate her new life with focus on reestablishing her relationships with her sister and others from the past and as she decides if she wants to stay in the town or if she should sell the cottage and return to her more familiar world in Paris. We also meet Isabel as she is making the journey to the other side of the world, see her unhappiness, and see what fate has in store for her after she miraculously survives the shipwreck. Alone in the world, she must forge a new life for herself - one that is very different to the high class pampered life that she has left behind. I know that the dual storyline is something that is very popular in historical fiction at the moment. When done poorly, you can find yourself only interested in one of the stories, or not quite getting the connection between the two timelines. There are no such issues here. I was totally engrossed in this book, staying up way too late at night to try and find out what happened to all the characters as they faced challenges in their respective contemporary societies. One of the interesting things about this author is that she doesn’t seem to get that much recognition in the Australian blogosphere (or at least not the ones that I read) and I am not sure why that is. Before I saw it mentioned on Kate Forsyth’s blog back in February I didn’t even realise that Kimberley Freeman had a new book out so I requested it from the library straight away. After it had been sitting on my bookshelf for several weeks I began to see it mentioned on overseas blogs, especially those with a historical fiction focus. Whilst Wildflower Hill was a good book and was well reviewed (again predominantly on overseas blogs), I thought that Lighthouse Bay was a much better read and I couldn’t wait to turn the page and see what happened next! It is a shame that Freeman isn’t getting that same notice here. I am not sure if she fares better in the spec fic blogosphere as she also writes under the name Kim Wilkins. One of these days I will try one of her spec fic titles and find out for myself. I will definitely be paying more attention next time there is a new Kimberley Freeman book out! I am always a bit stingy with my 5/5 grades but I closed this book with a contented smile, and now I am also determined to read Freeman's two earlier books! Trapped in a lovely marriage, Isabella Winterbourne struggles with a grief from which she doubts she will ever recover. Alone and heavy-hearted, Libby Slater has finally come home from her Paris life, not sure what she will find. On the wild and isolated east coast of Australia, Isabella and Libby have to wrestle with the choices they have made and the cards fate has dealt them. A mystery that stretches from one to the other leads Libby to the old diaries of the local lighthouse keeper. The dusty pages help her to unearth Isabella's legacy and rediscover the importance of family and forgiveness. Both women will find that no matter how dark things seem there is always light somewhere ahead. This book sounds great - I just put it on my Want To Read list on Goodreads (which is getting waaay too long!). Thanks for the review! I read Wildflower Hill in December and loved it. I was so happy to see that she had another book coming out. This is the first review I have read for Lighthouse Bay and I am excited to hear you thought it was even better. I can't wait to read it. I enjoyed this one too, and after loving Wildflower Hill, I will always jump at the chance to read this author!